It’s no secret that beards have become one of the most popular trends for men, with their ability to completely change your aesthetic. 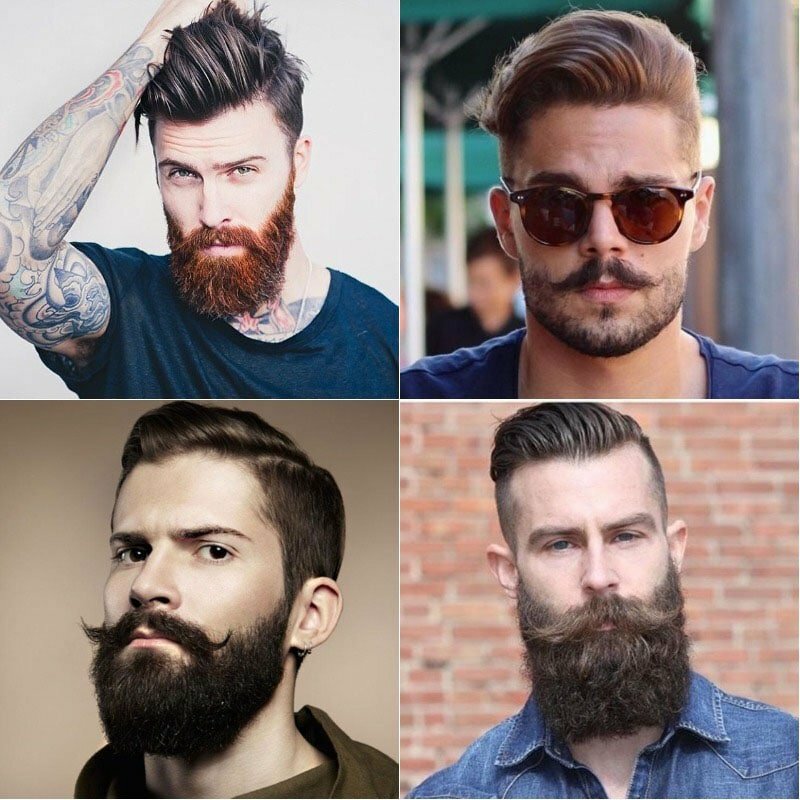 The remarkable thing is that there is a beard style for every man. Whether you’re after something tough or a little more subtle, this guide to different beard styles has got you covered. Not too long, not too short with thick coverage, the classic beard is recommended for those committed to facial hair. Keep in mind it doesn’t suit everyone. Our recommendation is to opt for a youthful haircut to accompany this beard style which will allow you to interpret this classic look in a modern way. Alternatively, go for a side part with a strong hold pomade for a true vintage approach. A longer beard can work well when done right, but approach this style with caution. It is a gradual process to perfect the longer beard, so be patient. Also, be mindful of your grooming. You want to ensure that your hair is styled appropriately, so you don’t end up looking like Tom Hanks in Castaway. Ensure that your barber gets your haircuts right – opt for more modern, youthful styles to prevent an aged aesthetic. 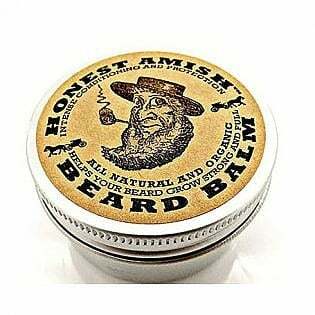 Beard oil is also a good idea to stop irritation and dryness and also to make your beard hair more manageable. The bushy beard is great for adding texture and enhancing your face shape. If you are looking to exaggerate your jawline, a bushier beard will do just that. Beard oil is essential for this look, as it will prevent dryness and soften up the facial hair. A bushy beard can also make you look more mature. Much like a long beard, a bushy beard needs to be paired with a haircut that is styled appropriately. Joaquin Phoenix’s version of a bushy beard is a great example of a fuller beard with depth and texture. 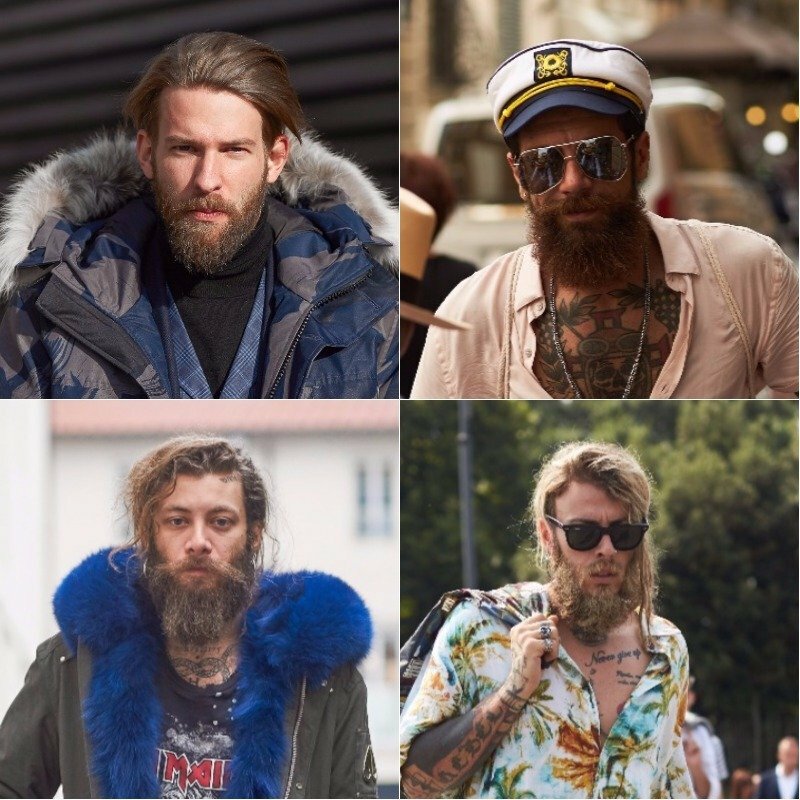 With its origins in biker subculture, a biker beard can be a dramatic option to change things up if you’re after something a little different. The biker beard relies on the extra hair length on the chin area, so you will need to shape your facial hair accordingly. While not many tend to opt for the biker beard, Brad Pitt has had some luck pulling this beard style off. If you’ve shaved your head, a beard can work to add dimension to your mug. A beard will afford you more character when it comes to your looks, working to lend texture and frame your face effectively. 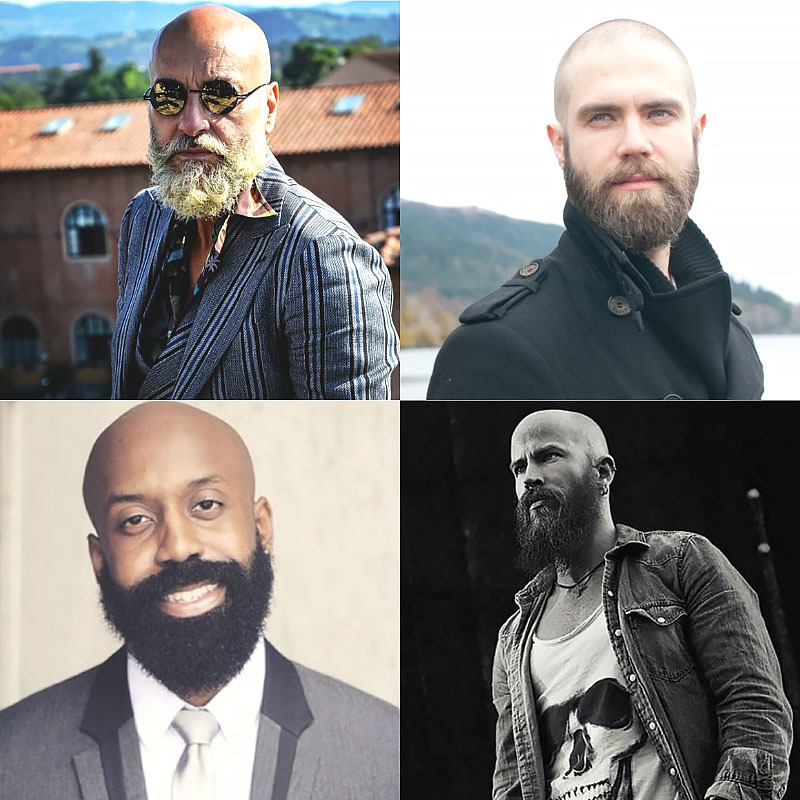 It goes without saying, but you will need to recognise what suits your face shape and whether a beard will complement your shaved head or not. The best way to find out is to grow your beard out, and gradually you will be able to determine whether facial hair is a good idea. Jason Statham is a good reference for those wanting to enhance a shaved head with a stubble. Vikings are undoubtedly renowned for two things: their epics skills in battle, and their beards. For men looking for a masculine, no-nonsense way to style long and thick facial hair, a Viking beard is the way to go. To ensure you resemble a warrior rather than a wildebeest, remember to trim and shampoo your beard regularly. Finally, take a style note from the world’s favourite Viking, Ragnar, and rock your beard with long locks or a messy man bun. If your facial hair is not known for its fullness but you want to join the beard bandwagon, a thin beard is a style for you. Let that stubble grow out past the 5 o’clock shadow for a few days to achieve a beard that will accentuate any jawline. 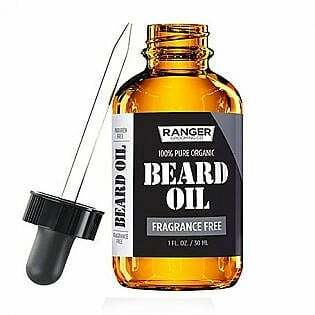 For added texture, grow out your moustache and blend this down into your beard. Finally, trim regularly to prevent your beard from looking dishevelled, and to maintain a refined, masculine look. 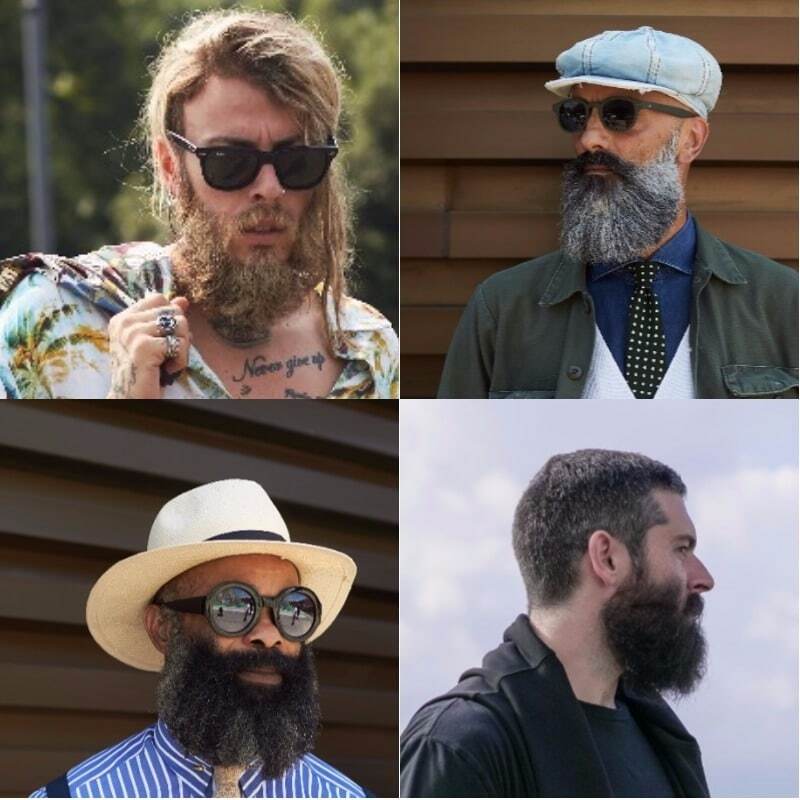 If you’re trying to stay cool in the summer sun or your boss has decided that long beards don’t ‘work’ in their workplace, then a short beard is a style for you. 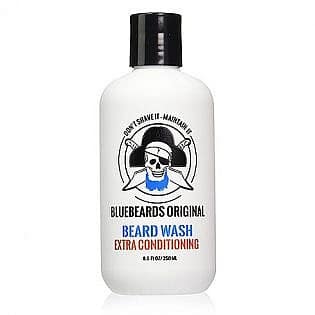 For many men, it presents a perfect way to try something new, while still maintaining rugged, masculine facial hair. For a short beard, simply keep the hair on the cheeks and on the neck trimmed short and neatly combed. Regular maintenance is required to ensure your beard remains polished rather than patchy. 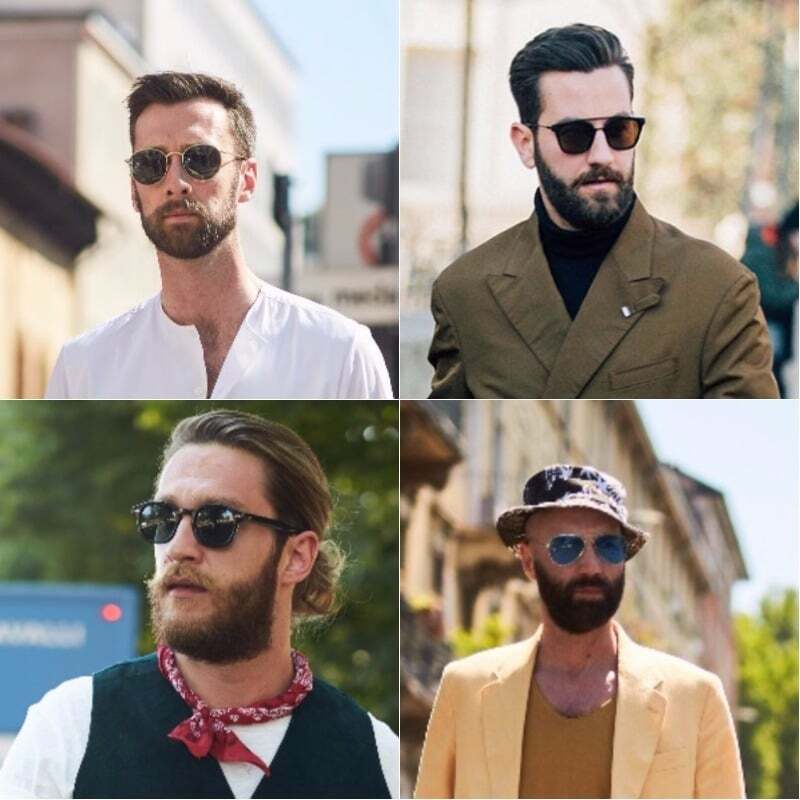 Drawing the eye downwards, a beard can be the perfect way to elongate and balance out a round shaped face. For this look, a full, thick beard and a moustache tend to work best. Fortunately, this style looks great both short and long, so experiment with the length until you find the one that’s right for you. For dark-skinned men seeking a new look this season, opt for a full beard to redefine your appearance. Whether you choose a short, close cut beard or a long, thick one, regular maintenance is essential to keep you looking sharp. Take a leaf from mega-rapper Drake’s book and add a sleek moustache to help blend the beard into the rest of the face. For day-to-day care, make sure to keep a few drops of beard oil close by for added moisture and to prevent irritation. 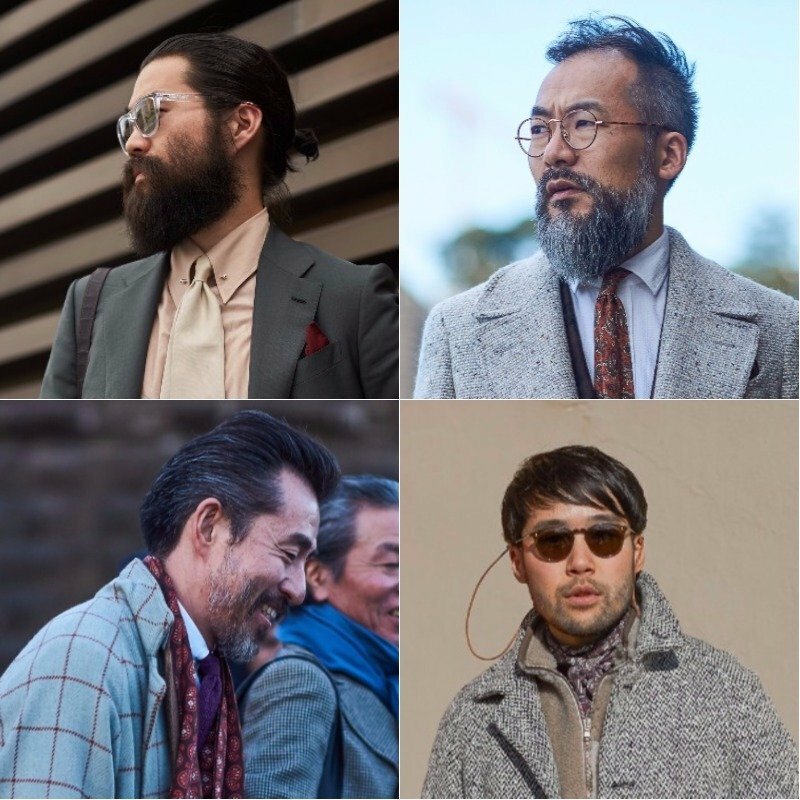 For Asian men, a well-groomed beard can accentuate masculine jawlines and high cheekbones. 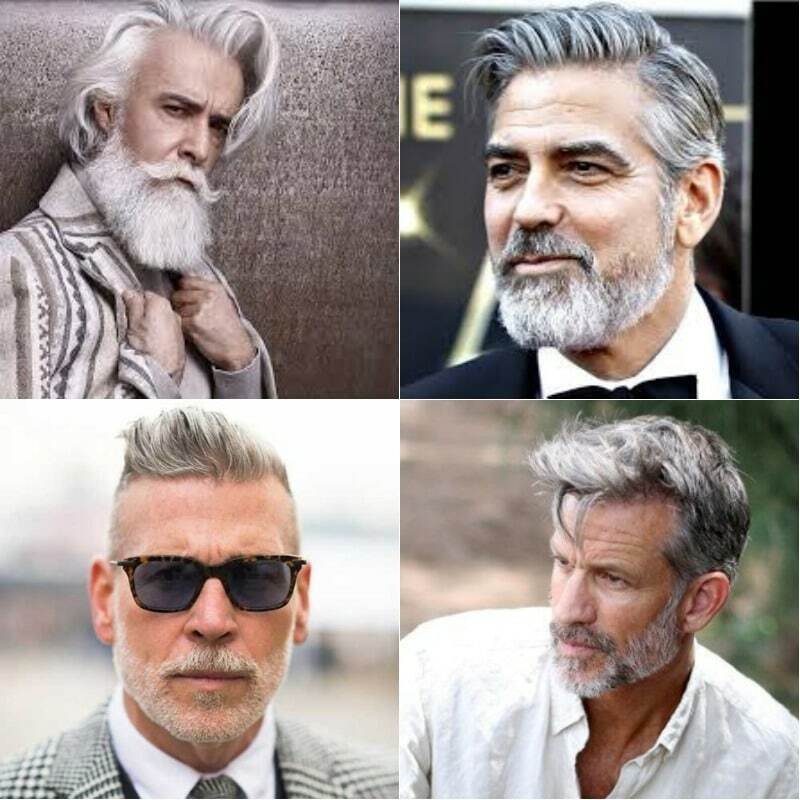 If your dark hair has started to take on a lighter, whiter tone, embrace the path of the silver fox with a sophisticated, neat beard. 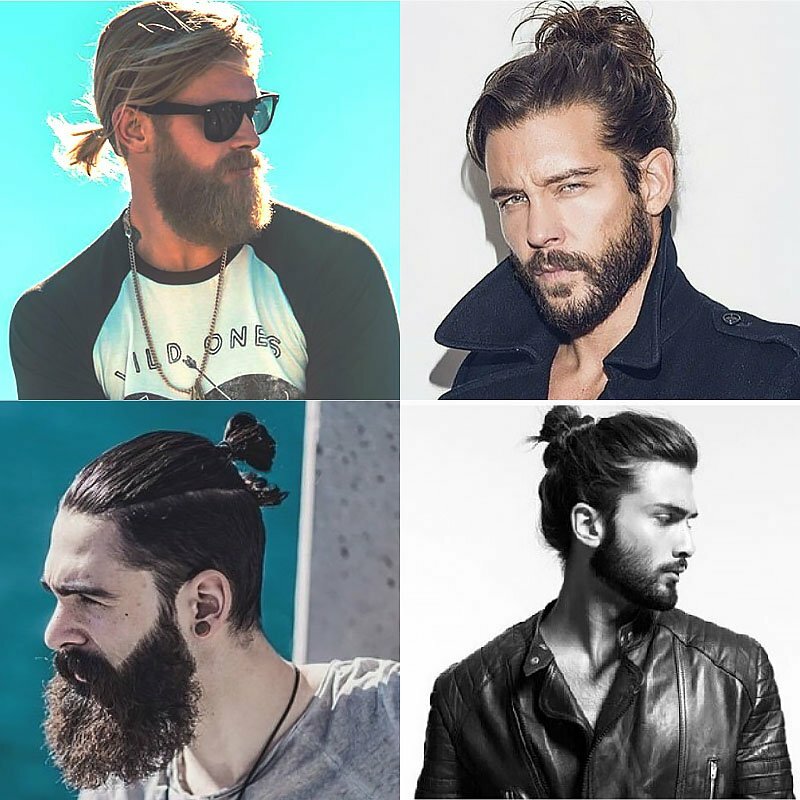 For a more youthful approach, try a sleek man bun to complement a full beard. When your hair is shorter, you will need to ensure that your beard is proportionate to your hair length. Stubble is failsafe – it particularly complements shorter hairstyles and gives an overall balanced look. It gets a bit tricky when you are growing your beard longer. With longer hairstyles, a longer beard works really well, but with shorter haircuts, you want to ensure that your beard doesn’t look too out of place if it is longer. 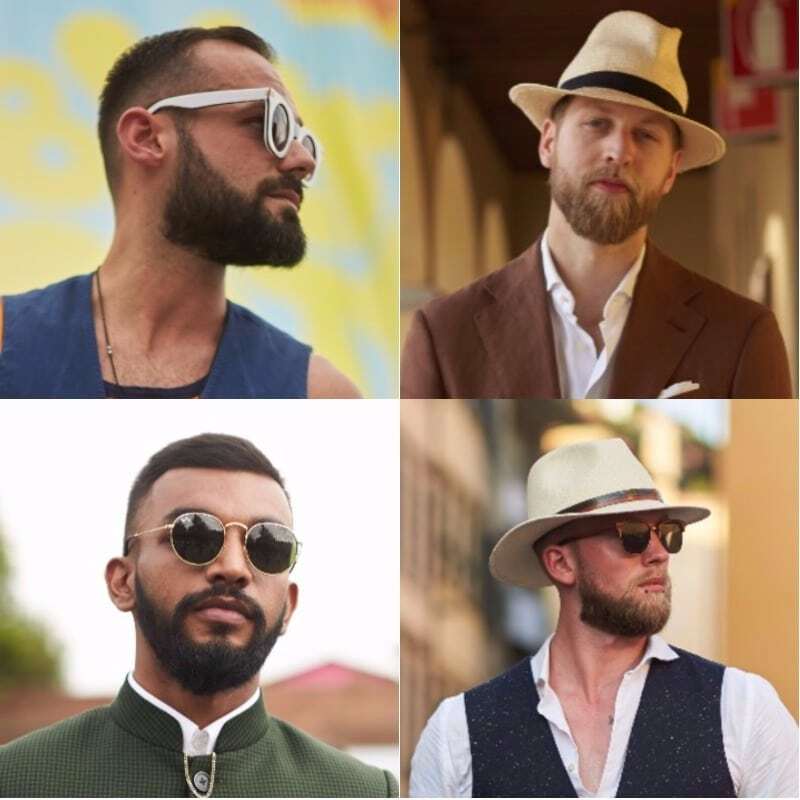 The best way to ensure that your beard is proportionate to your haircut is to experiment with beard lengths – your face shape may be able to handle a longer beard with a shorter haircut, but don’t go too extreme with your facial hair length. Medium haircuts and styles work really well to compliment beards, as this length is typically more versatile than when your hair is cut shorter. 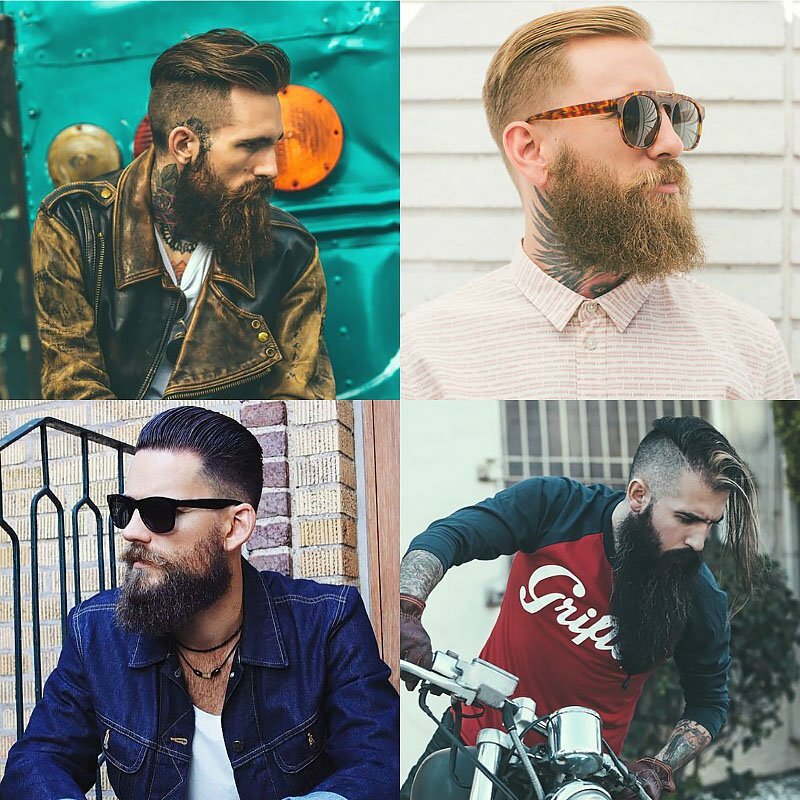 To really amplify the effect of medium length hair alongside a beard, go for trendy haircuts that will boost your beard’s appeal. 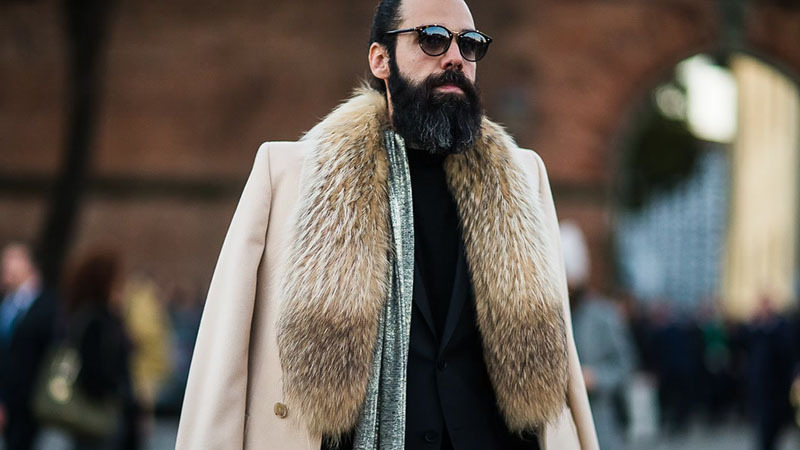 Medium length hair will also allow you the freedom to experiment with different beard lengths, so it is a failsafe length. Length shouldn’t be feared when it comes to beards or facial hair in general. 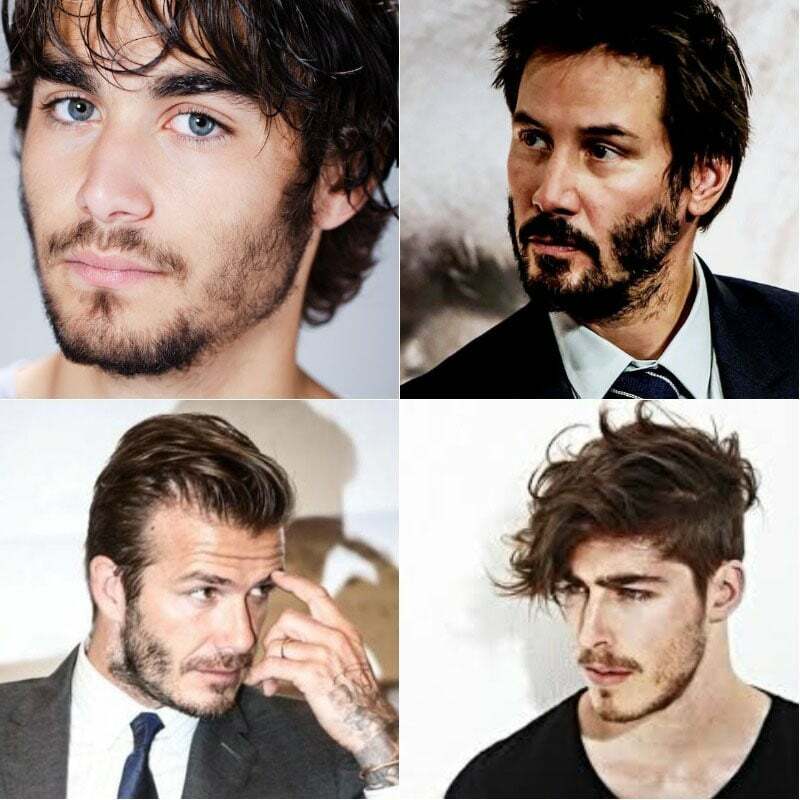 Longer hair is actually quite versatile and is very complementary with shorter, medium and longer facial hair. The important thing to remember about long hair and growing a beard is to ensure that your grooming is impeccable. You don’t want to look dishevelled, so pay attention to how you style your long hair and appropriately trim your beard so you don’t look careless. A beard can work well for an aesthetic influenced by the past. Slicked back hair is a great way to incorporate retro vibes in your looks and will work well to make your beard more appropriate for formal or dressed up occasions. Experiment with the finish of the product that you use for your slicked back hairstyle, as different finishes can allude to varied aesthetics. A glossy, shiny finish is true to the 40s and 50s aesthetic, but a matte finish can work to modernise your hairstyle. One of the most flattering haircuts to complement a beard is a fade haircut, it is well balanced and lends a modern vibe to facial hair. The appealing thing about a fade haircut is that it hinges on precision, meaning that it can handle longer beards and will balance out your looks more appropriately. The modernity of a fade haircut will also make your interpretation of a beard more youthful and complement different dress codes. 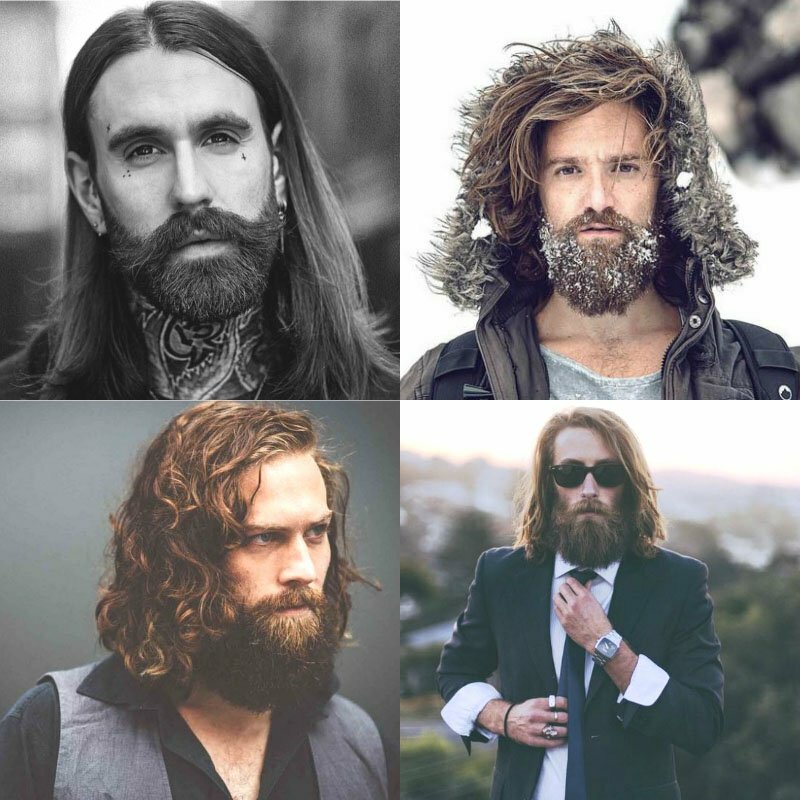 Bouncier hair types like curls or waves work incredibly well with beards because the textures correspond well with each other. You will want to ensure that you are using a product with a shiny finish, as it will allow your hair to stand out when paired with a beard. Work your chosen product in with your fingers and concentrate on ensuring your locks stay in place with a medium-hold hairspray. If you’re looking to toughen up a man ban, a beard is a solution. The depth of a bun alongside with the masculine elements of a beard work well for a modern aesthetic. 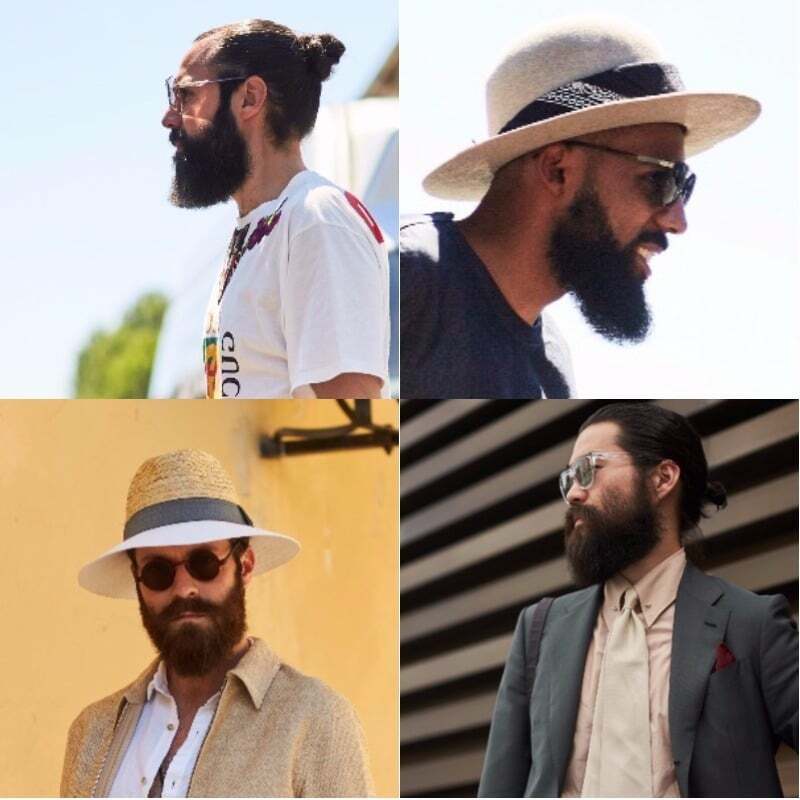 A thicker, fuller beard works to enhance the height of a bun, adding dimension. Alternatively, stubble is also an appealing option, lending texture that will bode well for the extra length of your hair. Our references for this combo? Orlando Bloom and Jared Leto, who have both balanced out the length of their man buns with their stubble. 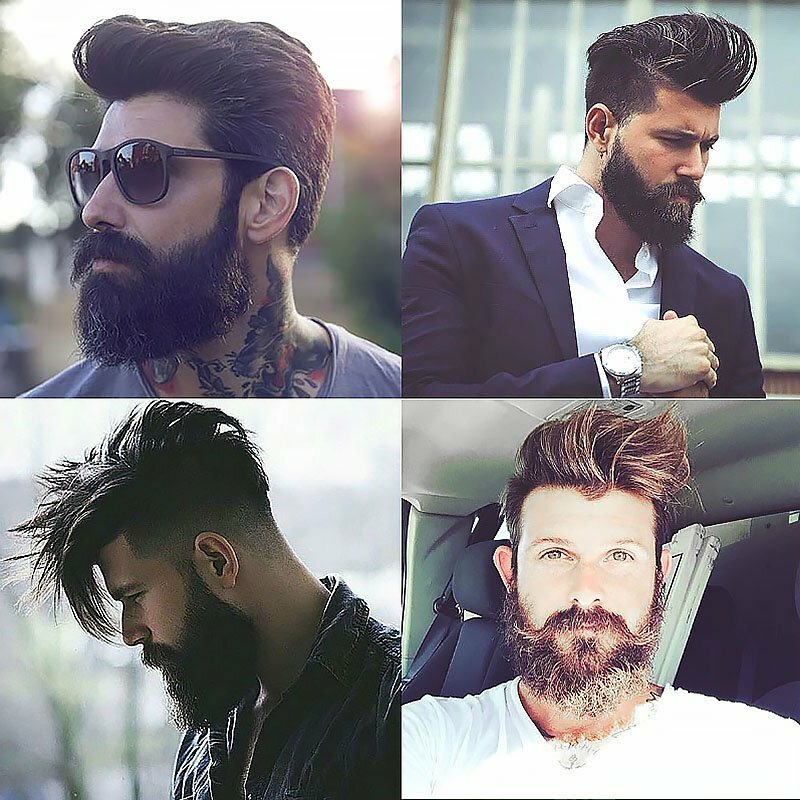 A blow-dried pompadour is one of the most appealing hairstyles to complement a fuller beard. Given the hairstyle is more youthful, it balances out heavier beards well and won’t leave you looking too mature. When styling your pompadour, opt for a sleeker finish and aim to add volume when you’re drying your wet hair. A glossy pompadour will effectively boost the appeal of a beard, making you look more put together. This is a tricky one. 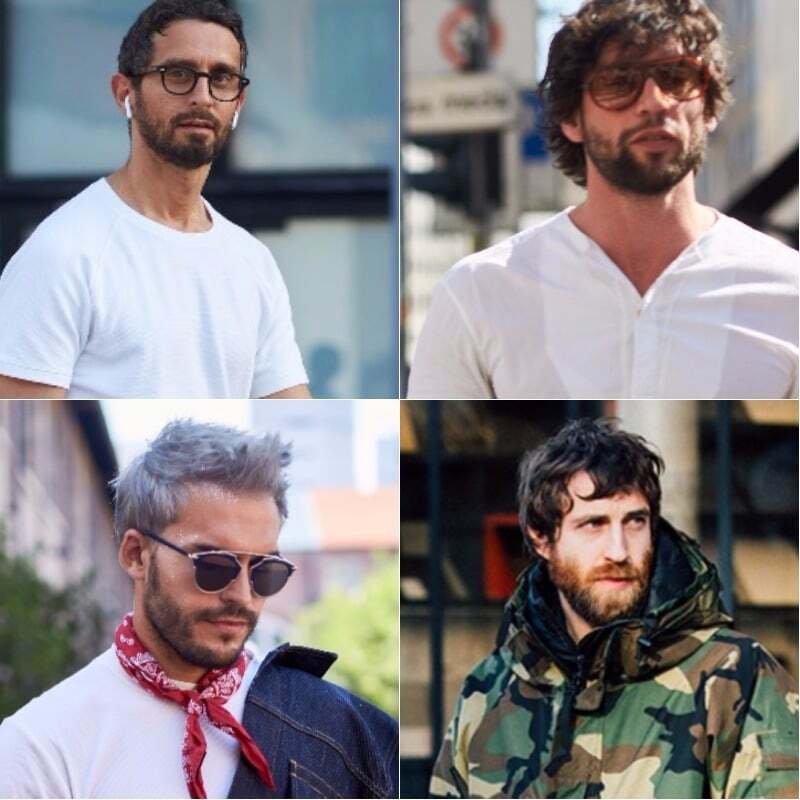 Whilst messy hair has the potential to look effortless and textured with a beard, you don’t want your combination to look like you’re homeless or in need of a shower. The trick to pulling these two elements off is to style your hair with a product that has a hint of shine and ensure your beard is neat and trimmed accordingly. You want your hair to look effortless but you shouldn’t just roll out of bed. 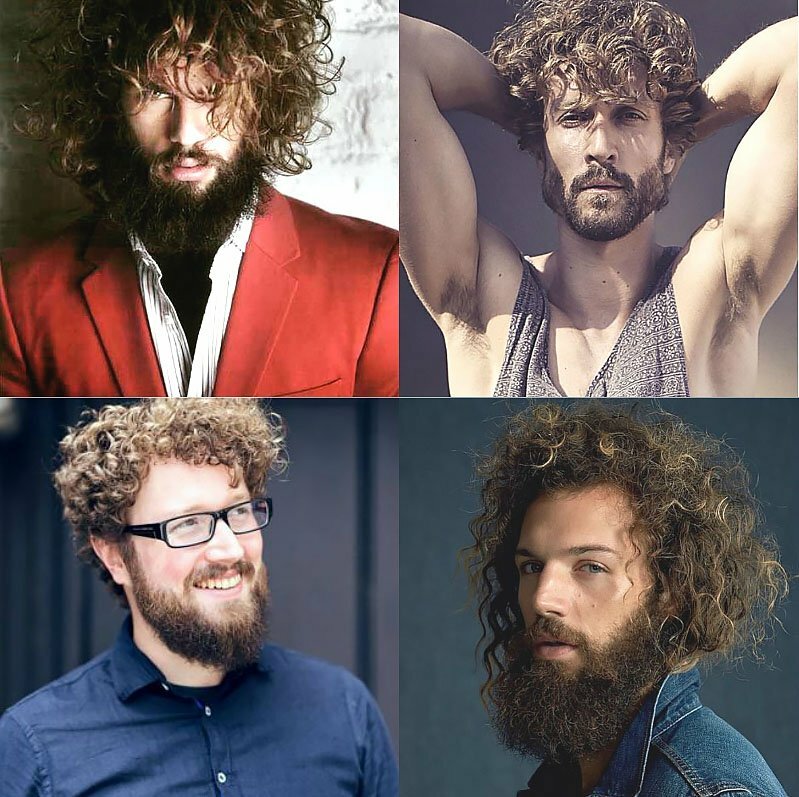 Keep in mind that sometimes achieving “messy hair” can ironically take longer than just blow-drying your hair, so if you can’t commit to making a messy mane work with a beard, stick to something more simple. To achieve an awesome beard, you also need to take your moustache into account. After all, unless you’re rocking a goatee, or something similar, the hair above your lip will always affect the appearance of your beard. As such, you need to ensure a coordinated look. So, if your beard is short and neat, you must ensure that your moustache is neatly trimmed to match. Also, it’s important to consider if and how your beard and moustache connect and whether you want to add any style details, such as curled ends on your moustache, or not. Not all beards are created equal. So, while some gents can easily grow a big bush on their chins, others often struggle with patchiness. Don’t worry if you fall into the latter category, though. 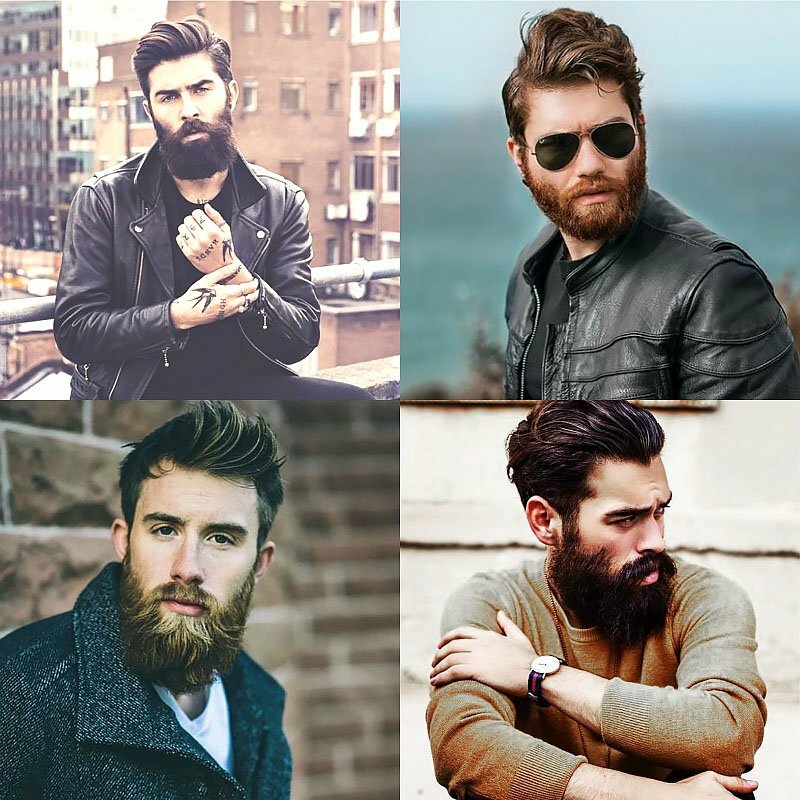 There are plenty of great patchy beard styles that look fantastic even with uneven hair growth. 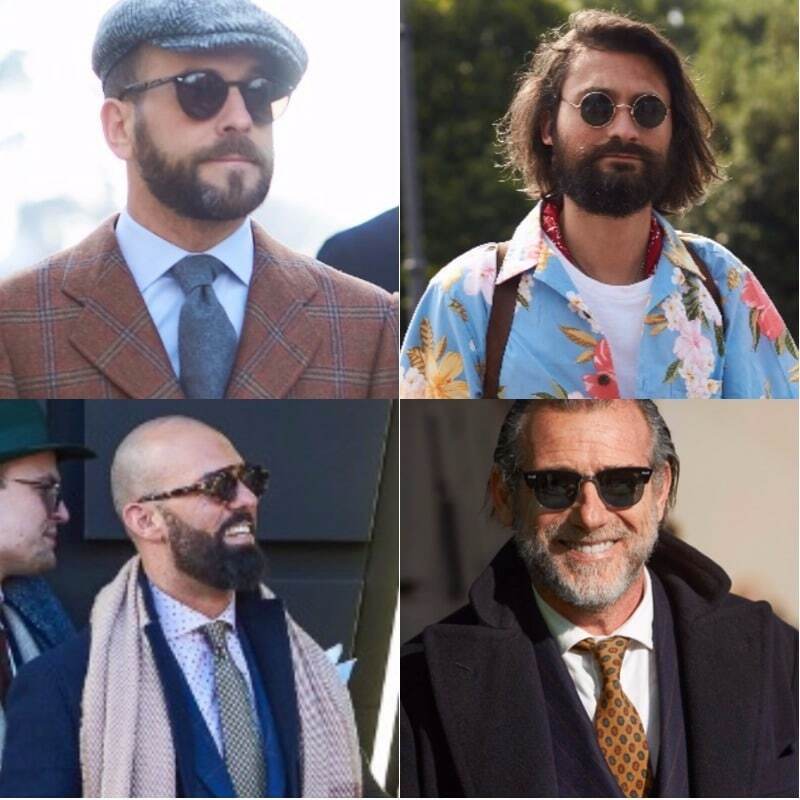 The trick to nailing the look is to opt for a very short beard for a smart style or grow it to a regular short length for a more rugged and stylishly undone appearance. 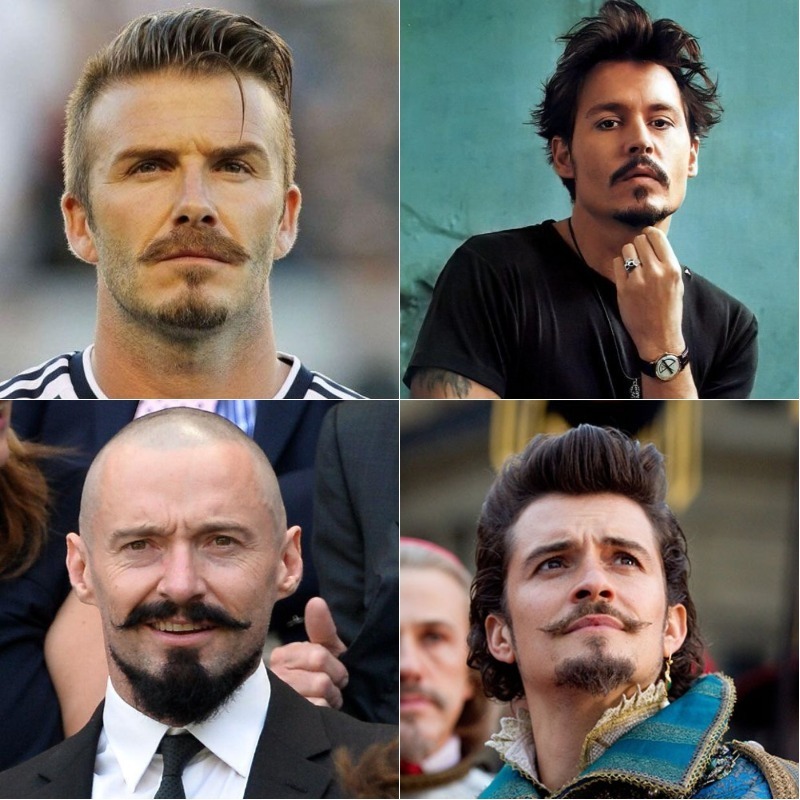 For those who like a unique look, a Van Dyke beard can make an excellent choice. The style of facial hair, which gets it name from a 17th-century painter, features a moustache and goatee with clean-shaven cheeks. Although it is a very distinct look, you can easily add a unique spin to your Van Dyke style. Curling the moustache and adding a soul patch are some of the most popular variations. 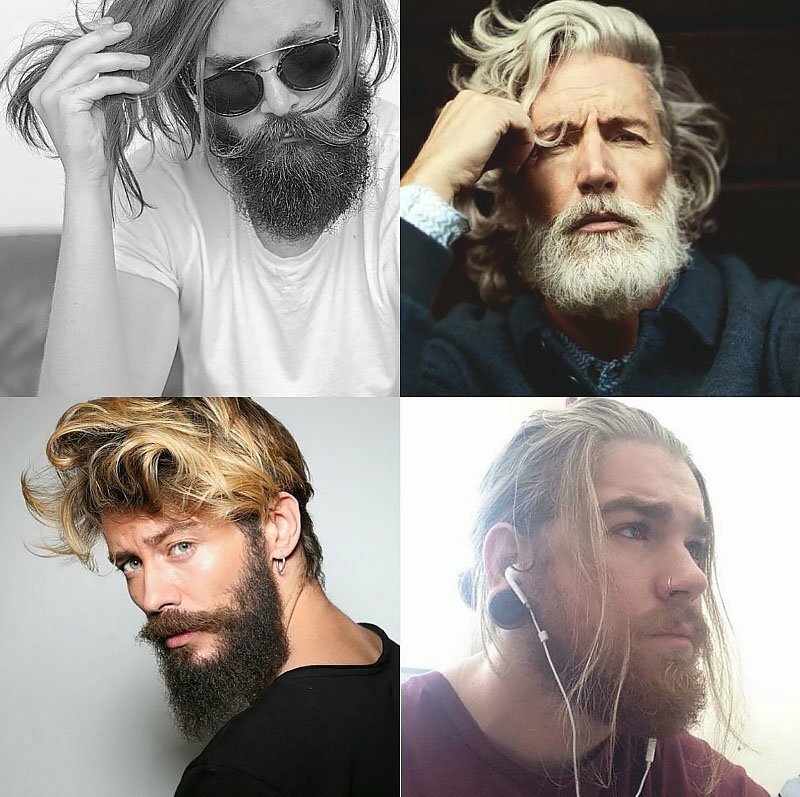 A beard can look great on all men, including those who have gone grey. To rock a stylish grey beard, all you need to remember is to keep your look neat and polished. Doing so will ensure that you maintain a mature and sophisticated appearance that’s appropriate for your age. 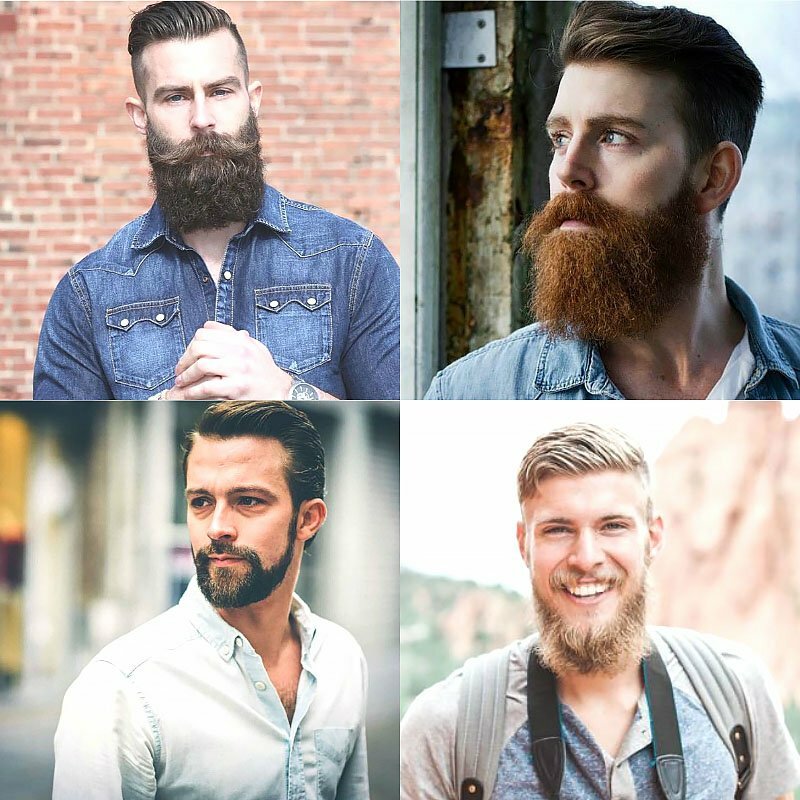 As such, you should select either a short beard or a long beard style for your look. As stubble and bushy beards can both sometimes appear a little unkempt, they are best avoided. 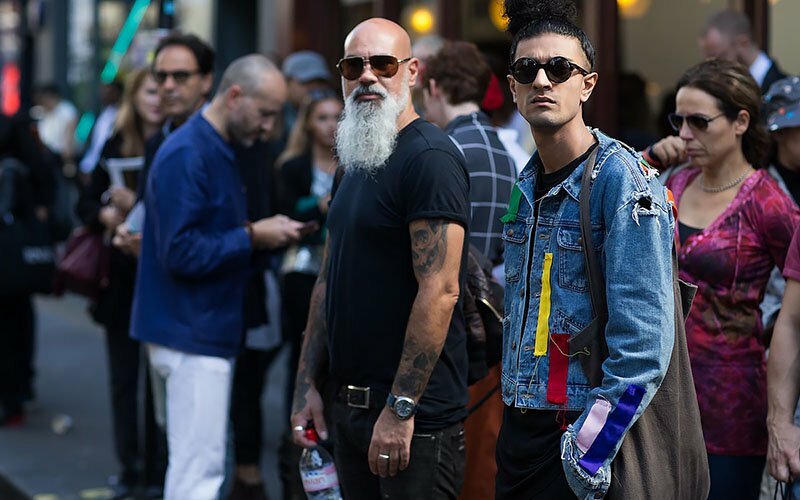 For teenage gents who have a knack for growing facial hair, a beard can make a fashionable addition to their look. All they need to do is pick an appropriate beard style for a teenager. 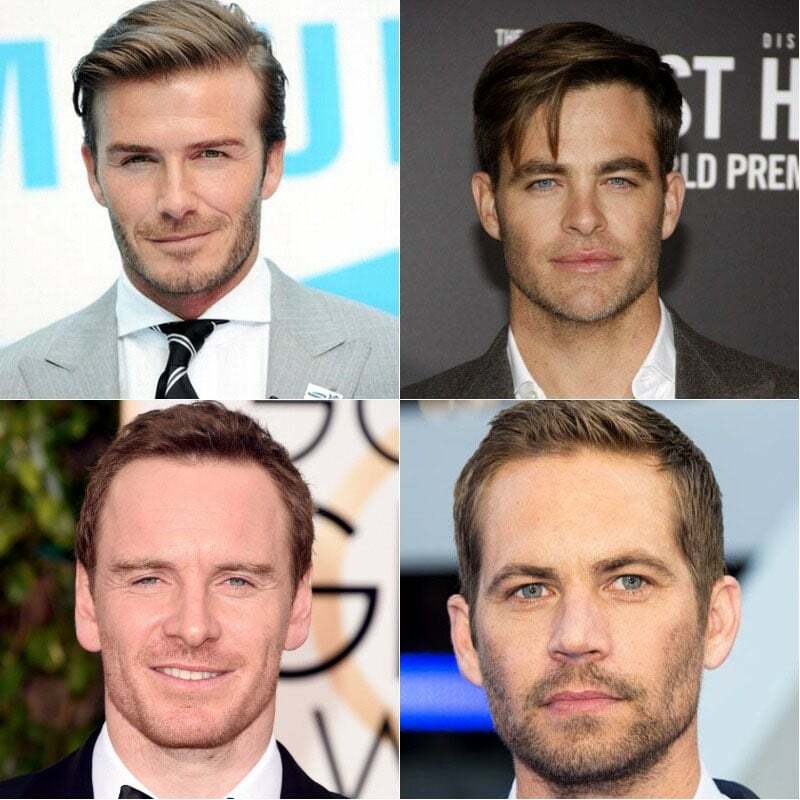 A short beard or stubble look is usually the best option for those under 20-years-old. 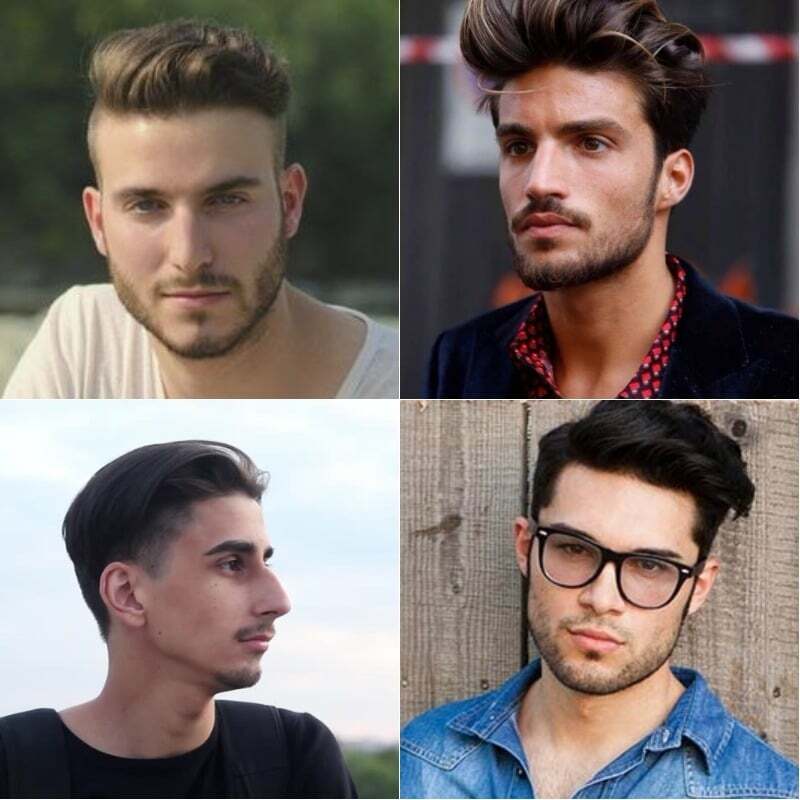 Thanks to their minimal lengths, these styles are achievable for young men. They also look great and can project an appearance that perfectly blends maturity with youthfulness. 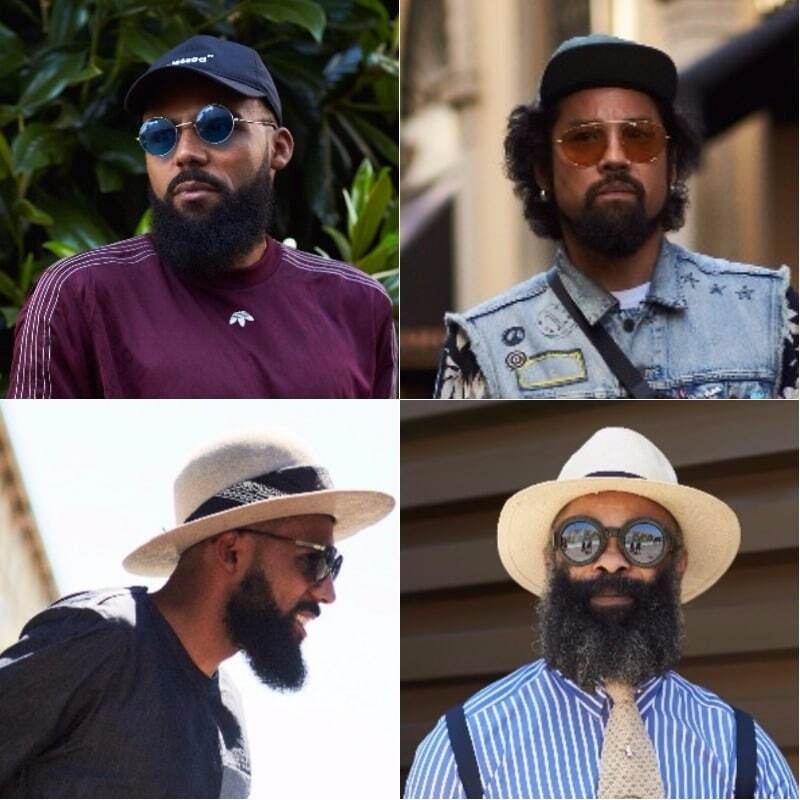 A beard is a fashionable look for men from all over the world, including India. 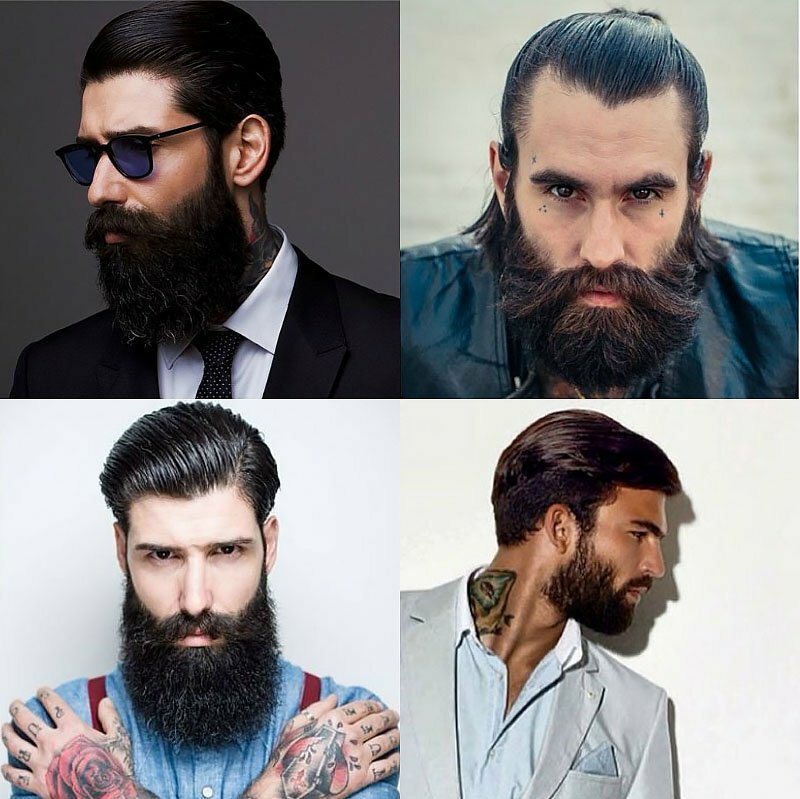 Indian beard styles can be diverse with a selection of options that are suitable for all face shapes and styles. 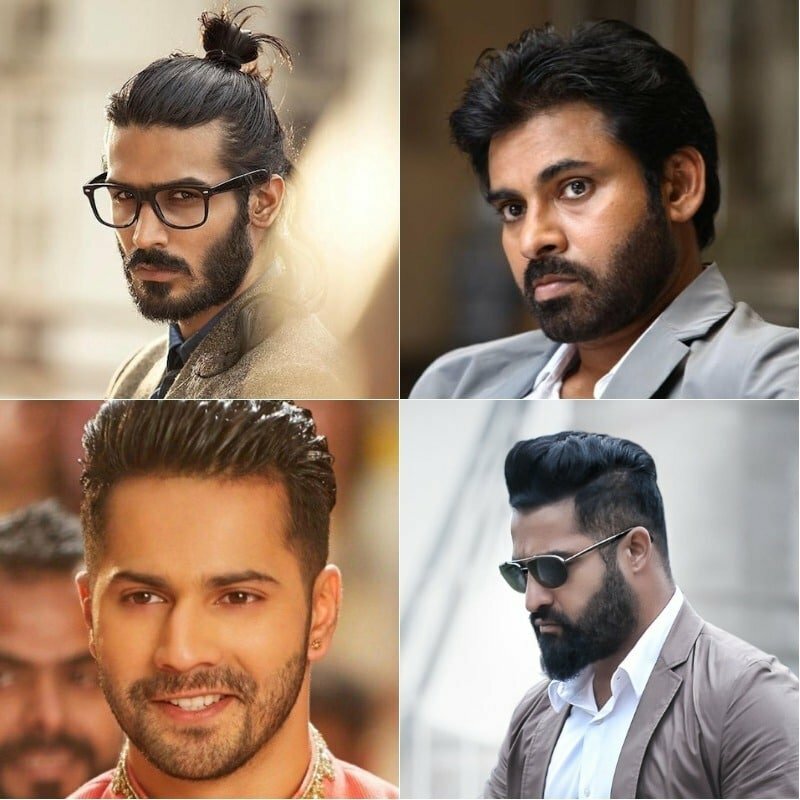 In particular, short beards and stubble can look great on Indian gents. 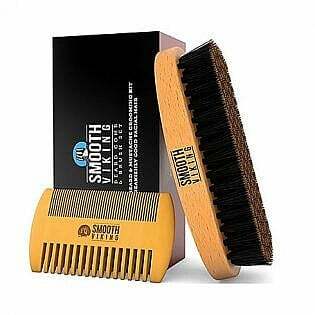 As Indian hair is often thick and voluminous, keeping your beard trimmed and neat will allow for a balanced and complimentary appearance. For those aren’t ready to commit to a full beard, stubble can make an excellent alternative. Sitting between clean-shaven and a short beard, stubble is both practical in length and stylishly rugged. Depending on your hair growth, the perfect stubble can take anywhere from a few days to a couple of weeks to grow. When it comes to the hair on your face, grooming is essential, and beard styling products play a significant role in that process. While trimming and cutting your beard is important to ensure the shape of your beard looks great, conditioners and oils are useful for keeping your beard healthy, hydrated, and soft. Wax, on the other hand, can be used to ensure your crazy crumb-catcher looks presentable and polished for formal occasions and business settings.